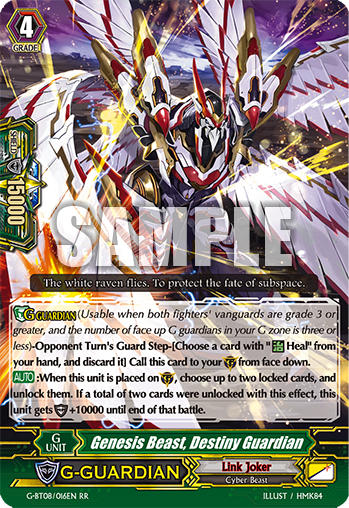 Today’s “Card of the Day” features the long awaited not-Denial Griffin for Link Joker! [AUTO]:When this unit is placed on (GC), choose up to two locked cards, and unlock them. If a total of two cards were unlocked with this effect, this unit gets [Shield]+10000 until end of that battle.